Kitzhaber says he's "doubtful" for Interior Secretary. By Patch Adam Perryman of Milwaukie, Oregon. Patch is a novice writer, health care professional and native Oregonian with rural roots. In an interview conducted by the Associated Press former Oregon Governor, John Kitzhaber, dismissed rumors by admitting that he had not been asked to fill out any of the lengthy paperwork that accompanies the vetting process to fill cabinet posts. Gov. Kizthaber stated, "I think people back there know that I wouldn't be willing to set up permanent residence in Washington because of my son. I would expect that's a deal breaker for them." Despite Mr. Kitzhaber's lengthy list of accomplishments and credentials (two-term Oregon Governor, State legislator, emergency room physician, avid rafter and family man) which could add to the post of Interior Secretary, his rationale of dismissal makes perfect sense. It also adds credibility to his potential nod to other positions should they come to be offered. Since Election Night, theories of who and what, where and when on Mr. Obama's cabinet positions and highly-visible appointments have been rampant -- not least of which were the inclusion of many Oregon supporters that endorsed then-Senator Obama in the early days of the campaign. These highly sought-after Cabinet positions become even more attractive given this time of enormous opportunity and wild flux in our nation's social, political and economic systems. That the former Governor was even considered in the top rung of the rumor mill is quite the accomplishment unto itself. So we get to keep the Gentleman, for a while longer, until comments begin anew as to his next title: Governor? Surgeon General? HHS Council? Clearly doubts can be overcome given the proper assurances for family and public good. Now this article really makes a lot of sense: It reports that Kitzhaber is unwilling for family reasons to live in DC--something he has stated many times over the years--then winds up by speculating on the jobs that Kitzhaber could do...in DC. Um, Governor of Oregon is NOT a job in DC. And Surgeon General, unlike being a Cabinet Secretary, is much less likely to require being in DC 24/7. In fact, as I've argued many times, I think Dr. Kitzhaber would be an excellent fit for Surgeon General. After all, the traditional role of the SG is to be a public advocate - someone to talk to the public about the greatest health challenges facing America. In years past, that was tobacco, AIDS, obesity, etc. Today, it's our health care and insurance system. I believe that Dr. Kitzhaber would be an excellent advocate, traveling the country, making the case for health reform from coast to coast. He is, along with Dr. Howard Dean, uniquely positioned at the intersection of health care and government - and with a progressive mindset that suits the times and our incoming president. Great to see you here Patch... hope you'll write more in the future. I can't imagine why Kitz isn't being picked up for a position in Obama's administration. He's so passionate on the healthcare issue, and would serve them well as an advocate. At the same time, I wouldn't rule out a position that looks "out of the box" for Kitz. He could wind up in a newly-created job that would be specific to the development and execution of universal healthcare. Just because all the traditional positions may not apply to Kitz at this moment in time, don't rule him out for a future assignment. He's too valuable an asset to the fight for national healthcare to be left out. Echo what Kari said viz Kitz/Surgeon General. It's been a long time since the Good Doctor was in any position where he had to actually cooperate rather than issuing edicts, and I doubt that he'd be happy in any position where he was accountable to a consensus or, Heaven forfend, a superior. Maybe The SG job, since it's mostly a Bully Pulpit. Let me add to the mamabigdog sentiment though Patch. Please write more guest articles. We can use the perspective. 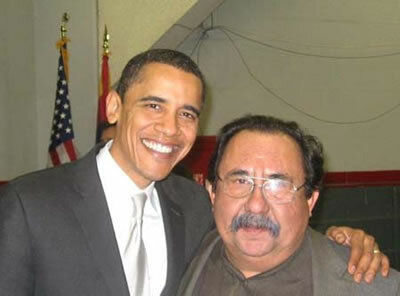 If Grijalva doesn't get it, Richardson should move to the top of the list, over Commerce. Why not? Kari said: "I believe that Dr. Kitzhaber would be an excellent advocate, traveling the country, making the case for health reform from coast to coast." It will be interesting to see how this all plays out. Meanwhile, I'll be rooting for a Bruins win over USC. Good to see you here Patch. Hope this isn't the last one. Yes, exactly! Which is why the job would be a perfect fit -- same stuff, bigger platform. Less rinky-dink local chamber-of-commerce, and more primetime network television. No way Dr. Gov. K is going to SG -- he advocates abolishing Medicare as part of redistributing what he calls "pubic health dollars" (a large part of which are purely notional, being tax breaks to companies that provide health benefits). Regardless of what you think of that proposal, I'm quite sure Barack Obama doesn't want his administration advocating it. C.Lowe said: "he advocates abolishing Medicare as part of redistributing what he calls "pubic health dollars"
Nice flammable language there Chris. Blue Oregon - the place for rhetorical bomb throwers. I have seen Dr. K speak several times on the issue of Medicare and not once have I heard him say the word "abolish"? Those currently on Medicare are not placing the program at risk – it's the generation coming next – the baby boomers. There were 78 million children born between 1946 and 1964. Our health care system must prepare innovative ways to deliver care while not bankrupting the system. We must rely on the strength of the generation who fought in World War II, who had the wisdom to create programs like Social Security, Medicare and Medicaid – programs that have enriched the lives of many Americans. We need to be that bold and create a sustainable health system for the 21st century. Medicare, which so many people depend on, is not safe or secure - the Federal Reserve Chairman, Ben Bernanke recently called Medicare and Social Security "unsustainable retirement programs." His reason: there are 45 million people currently on Medicare, while close to 70 million baby boomers will enter Medicare beginning in 2011. Bernanke also said that we need to reform Medicare and Social Security sooner than later – otherwise the federal government will be left with decreasing benefits, increasing taxes, cutting other federal programs, or cutting retirement benefits – or some combination of all four. Social Security and Medicare have done great things, reducing the number of seniors who spend themselves into poverty. We can design a health system that makes more sense, pay for services that seniors need and prefer and spend less while doing so.